CIBIL Report is X Ray of one’s credit health. It is must that credit health should in good shape. A good credit health in turn is critical for your personal finance / financial health. For example if you have low CIBIL score in CIBIL report then you cannot avail Home Loan. What it implies is that you cannot own your dream home till you save enough to buy house without Home Loan. This scenario seems impossible because of high cost. As we know that any default in payment impacts your CIBIL score negatively. Sometimes through intelligent and timely intervention, we can control the damage to CIBIL Report without much efforts. One such intervention is managing Days Past Due or DPD entries in CIBIL Report. In my post on 5 Tips to improve CIBIL Score i discussed general tips to improve CIBIL report but now in next few posts, i will discuss nitty gritty of the same. Days Past Due or DPD entries in CIBIL Report is first one in the series. What is Days Past Due in CIBIL Report? In CIBIL report, you must have observed entries like 000 or STD under each credit account reported to CIBIL by the financial institutions. These entries are recorded in 2 dimensional matrix of Month and Year for each credit account. 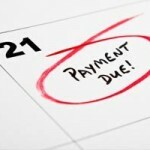 In layman terms, Days Past Due or DPD means for how many days the payment was delayed for that particular month. In following example, entry for April’2010 is showing DPD of 025 which implies that payment for April’2010 was delayed by 25 days from customers end. In financial terms, Days Past Due in CIBIL Report reflects the ability of a borrower to pay the amount due on time. Any other entry besides 000 shows that borrower is not able to manege his / her finances well which impact CIBIL report negatively. SUB (Sub Standard): Account is NPA for upto 12 months. Account is declared NPA (Non Performing Asset) if payment is not cleared for more than 90 days from payment due date. LSS (Loss): Lender has declared and booked LOSS. Account is tagged as uncollectible i.e. payment cannot be collected from defaulter. Days Past Due history is available in CIBIL Report for 36 months. If the credit account is more than 36 months old then most recent 36 months details will be available in CIBIL report. In case of closed accounts, Last / Preceding 36 months entries are reported to CIBIL database. How to correct DPD entries in CIBIL Report? One of the most common mistake in case of payment default is to close or settle the account. All hopes are lost and borrower stop making further payments. This situation can be avoided in most of the cases. Lets take example of one of my client Mr. Ravi. Last year Mr. Ravi lost his job and skipped credit card payment for 3 months. He pressed panic button as DPD entries of 90 days, 60 days etc reflected in his CIBIL report. General feeling was that all is lost. After getting new job he thought that now there is no point making past payments as he is already defaulter. Due to ignorance, Bank also pressed panic button and requested Mr. Ravi to settle the credit card amount due and close the account. This situation could have been handled in a better way by the bank. Biggest problem with banks is that unlike western countries there are no Credit Counselor in India who can handle such situations. The solution should be win-win situation for both the parties when default is due to unforeseen circumstances & not intentional. Mr Ravi approached me on how to settle the account. I suggested against any kind of settlement with the bank as it can cause permanent damage to his CIBIL Report atleast for 7-10 years. There is another misconception that credit account details in CIBIL is maintained for 7 years but it is not 100% true. In case of payment default, the defaulter console himself that entry will be deleted after 7 years from CIBIL report. This is the biggest mistake. Fact of the matter is that credit account entry is maintained for 7 years from the date the account was last reported by the financial institution. In case of payment defaults or settlement, Banks don’t close account and keep updating on regular basis therefore this period of 7 years keeps extending with each reporting from bank. The idea is to cause maximum damage to defaulter. If Mr Ravi would have settled his credit card account, an irreparable damage could have been done to the CIBIL report. I suggested him to to approach the bank and restructure the total credit card amount due. Bank agreed and restructured the amount due in 6 EMI’s. Bank also agreed to keep credit card active if future payments will be on time. I also suggested him to make all payments on time from date of restructuring. In this case objective to keep credit card account active was to phase out DPD entries in 36 months i.e. to completely remove DPD entries from CIBIL report. All entries from date of restructuring will be 000 as Ravi is making all the payments on time. Moreover his CIBIL Score improved drastically in last 12 months as all recent payments are on time. By handling situation differently i.e. managing DPD entries, the damage to CIBIL Report was minimized and CIBIL Score improved at much faster pace. Whereas settlement would have caused more damage as bank could have been reported account as “SETTLED”. DPD entries against “settled” account are freezed for next 7 -10 years. Sometimes the intent of borrower is not to default intentionally but due to improper guidance & hand holding from bank, he unintentionally cause permanent damage to his CIBIL report. It is advisable to explore all possible scenarios before opting for settlement and always regularize payment asap as you can in case of default. Provided the intent of borrower is not to default and commit financial fraud. You may approach bank and explain the genuine reason for default. Do remember that for bank yours is one among lakhs of cases but for you, its your lifeline to avail future credit.